The first meeting to discuss formation of a historical society for Sauk County was held June 2, 1905 at the home of Mr. and Mrs. Harry E. Cole, 121 Eighth Street in Baraboo. The first public meeting of the society was held November 23, 1905 in the Y. M. C. A. building in Baraboo but due to "exceedingly stormy" weather the first annual business meeting was postponed until November 29 and was held at the home of then acting president H. E. Cole. Cole served as president until his death in 1928. Initially members were voted in, but later policy was changed to allow voluntary membership. The society was very active from its inception and had several speakers the first year and presented a display at the Sauk County Fair in 1906. By 1907 the society was given rooms in the basement of the new Sauk County courthouse to use as museum space. Money was allocated by the county board for display cases which were quickly filled to capacity. Also in 1907 the society with help from the Wisconsin Archeological Society and Wisconsin Federation of Women' Clubs purchased the property containing a man-shaped effigy mound northeast of Baraboo. The land was cleared, fenced and a plaque placed to mark the spot. SCHS membership had grown to 65 by the end of 1907. In 1909 the society marked the grave of Chief Yellow Thunder and his mate on county highway A north of Baraboo and made an excursion to the lost settlement of Newport on the Wisconsin River in the north-eastern part of the county. In 1911 in lieu of an annual meeting an exhibit was staged at the courthouse with many of rooms displaying artifacts loaned for the occasion. A quartet played old selections and several ladies dressed in "ancient garb." Ten cents was charged for admission with an additional five cents for tea if desired. $14.00 was raised and was put towards the purchase of a tablet to mark the site of the first church in the Baraboo valley. The tablet was finally unveiled in 1914 after sufficient funds were raised. 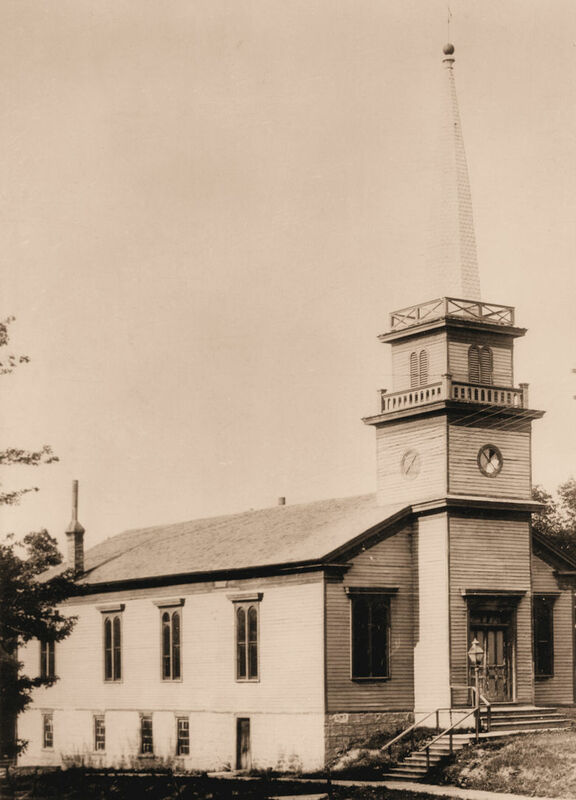 The church stood near the corner of Fifth and Broadway in Baraboo and was built by the Methodist Episcopal Society. In 1916 a tablet was erected at the bird mound near the south shore of Devil's Lake by the generous donation of President H. E. Cole. Also that year the society heard a talk of current rather than historical events with B. J. Johnson describing "something of the horrors of the war in Europe." In 1938 the Society purchased the Van Orden Mansion on Fourth Avenue in Baraboo for use as a new home for the ever-growing collection which had long since overcrowded the space in the courthouse. The museum is still housed in the mansion on two floors while the basement and third-floor ballroom provide storage for the Society's thousands of artifacts. In the recent past the society has identified and marked sites of circus history, marked the site of pioneer historian, William Canfield, sponsored numerous Tours of Historic Homes, placed the Van Orden Mansion on the National Register of Historic Places and inaugurated Historic Preservation awards for residential and commercial structures. In December of 2006, the Society obtained the Island Woolen Mill office building. In 2013 the new History Center was opened to the public. Research materials and artifacts pertaining to Sauk County history are available to the public.